Primary Inspired: Just made my own website! Hosting a Classroom Website Tour Linky Party! Just made my own website! Hosting a Classroom Website Tour Linky Party! Have you heard of weebly? I'm so excited....I just made my own website! And it was super quick & easy to do! 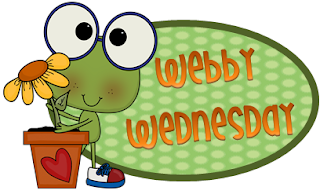 A friend told me about weebly quite some time ago, & I actually had it on my summer to-do list...but never got around to checking it out (can we say procrastination?). I'm kind of embarrassed to admit that it only took me about an hour to get it all up and running...& that's counting the time it took me to try out this format then that format then back again! It's kind of bare bones right now. I have an pretty simple home page with an introduction for my parents, pages for homework, our daily schedule, & websites for kids. I'm planning to use this as a way to communicate with parents, share student work (names deleted, of course), and as a clearinghouse for those websites I want my kiddos to visit! So-- do you weebly? 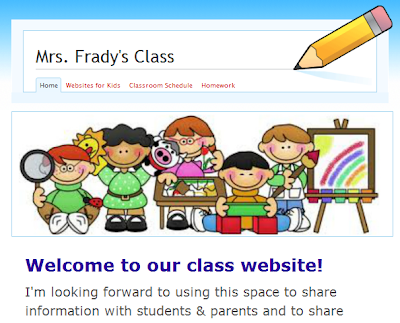 Do you have a classroom website? I'd love to hear what you include on your website & how you use it! Join in the Linky Party! We can tour each other's websites! Very creative work you have done, i like your post very much. Thanks for sharing !! This is my first time trying to join a linky party... Hope I did everything I needed to do. I just started using weebly this year because I wanted my students to blog. I love the weebly app on the ipad and it has been pretty easy to work with. My kids love their blogs! Thanks so much for joining my blog PYP in Paradise. I am pretty new to blogging about teaching a so it is exciting to see a new member! I follow your blog through my blogshelf on my ipad. It was fairly easy to create blogs for my kids. I will send you the directions this week. They are lovin' their blogs, commenting on each other's blogs and seeing comments on our ljatigertalk class blog. It is all about digital citizenship! What a creative website! I do know Weebly, but currently I'm not using one. I have this website wherein I used Wordpress as my blogging platform. The reason why I chose this kind of platform is because of revenue. If you don't mind me asking, is Weebly easy to use? Is it just like Wix? What are the features in it? Can we use ads for that website? I do hope you would reply. Thank you and have a nice day!